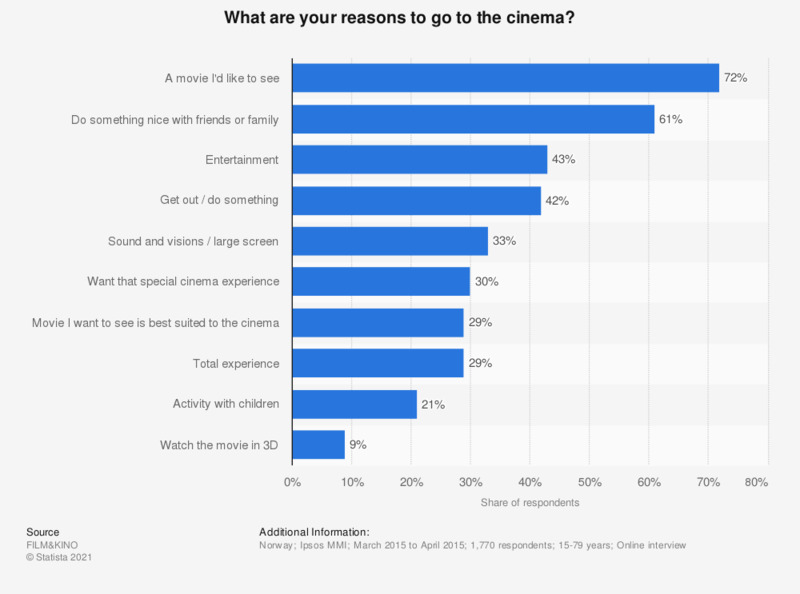 This statistic shows a survey conducted in 2015 on the reasons to go to the cinema in Norway. During the survey period, 43 percent of Norwegian respondents stated that they go to the cinema for entertainment. The original question was phrased by the source as follows: "Hvorfor gå på kino?"